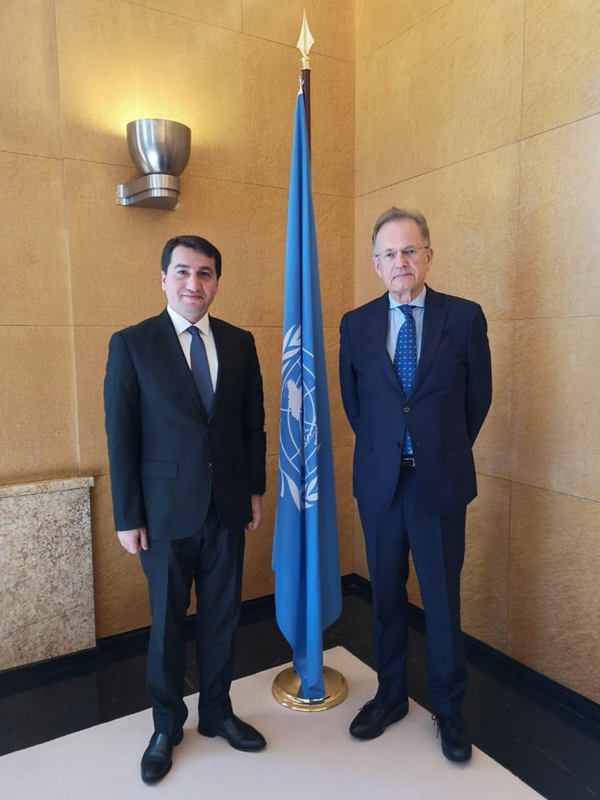 Hikmet Hajiyev, head of the foreign policy department of the presidential administration of the Republic of Azerbaijan, has met with Director General of the UN Office in Geneva Michael Moller. During the meeting, the sides discussed cooperation between Azerbaijan and the UN, the country’s implementation of the Sustainable Development Goals and Azerbaijan’s chairmanship in the Non-Aligned Movement. Hajiyev told Moller about the negotiation process on the settlement of the Armenia-Azerbaijan Nagorno-Karabakh conflict and the position of Azerbaijan on this issue.